The Goths of the Svea Coast never let go of their spears. Wars with their kin, and the Svea keep the Bear and the Black Goths forever on guard. With the death of their king, a new one is elected, and to the chagrin of Maroboodus, his father Hulderic does not step forward. Instead, forced to serve his cousin, the brutish Maino, the prideful Maroboodus decides to change the family fortunes and steals away a Svea princess meant for Maino. Enlisting the help of a Saxon band, he soon finds his plans to carve a kingdom in the lands to the west is seen a threat by his kin, and Svea alike. There are shadows moving in his path, and there is treason to gain the throne by those he knows as friends. Will Maroboodus survive and conquer, or will his family fall into a ruin with the rest of his tribes? 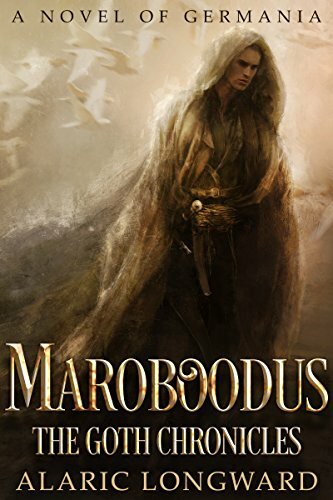 Maroboodus is the first book in a series of brutal historical fiction stories set in the Roman Era north.